Hardback, 13 x 9 in. / 96 pgs / 85 duotone. Foreword by Milos Forman. Text by Karen Folger Jacobs. 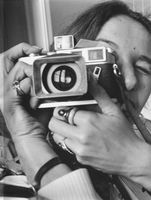 In 1975, photographer Mary Ellen Mark was assigned by The Pennsylvania Gazette to produce a story on the making of Milos Forman's film of Ken Kesey's 1962 novel One Flew Over the Cuckoo's Nest, shot on location at the Oregon State Hospital, a mental institution. While on set, Mark met the women of Ward 81, the only locked hospital security ward for women in the state: The inmates were considered dangerous to themselves or to others. In February of 1976, just before the ward closed (it ceased to exist in November of 1977, when it became the female section of a coeducational treatment ward), Mark and Karen Folger Jacobs, a writer and social scientist, were given permission to make a more extended stay, living on the ward in order to photograph and interview the women. They spent 36 days on Ward 81, photographing and documenting. Jacobs recalls their slow, inevitable assimilation: "We felt the degeneration of our own bodies and the erosion of our self-confidence. We were horrified at the thought of what we might become after a year or two of confinement and therapy on Ward 81." This new hardcover edition adds 10 pictures to the original. 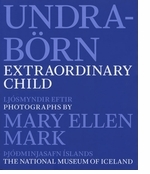 Foreword by Margaret Hallgrimsdottir. 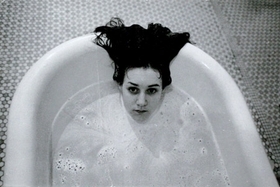 Introduction by Mary Ellen Mark. Text by Einar Falur Ingólfsson. FORMAT: Hardback, 13 x 9 in. / 96 pgs / 85 duotone.